These guidelines are in line with the Code of Ethics published by the BCMA. 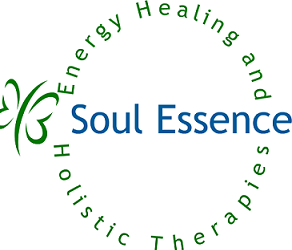 However, in the event of non-compliance with any of these terms and conditions by a Graduate of The School of Energy Healing (now Foundation for Integrated Energy Healing), the BCMA is not liable in any way. In this document, the word ‘practitioner’ refers to practising Graduates of the Foundation. The word ‘client’ is used in reference to any person receiving a treatment. 1.1 The Practitioner must abide by the law of the country in which they practice. 1.2 The FIEH is not liable for any treatment given by a practitioner. 1.3 Acceptance of and compliance with the terms and conditions of this document are required in order to be accepted on to the Practitioner Register of Energy Healers published by the FIEH. In the event of non-compliance with any of the terms and conditions contained herein, the Association reserves the right to either terminate membership or not renew membership of the Register, at its discretion. To provide the practitioner with support – this is not a substitute for personal healing/therapy but is complementary to it. Please note that any Supervision sessions you undertake will count towards your CPPD requirement – see below. 3.1 Continuing Professional Development is the means by which Professional Practitioners maintain, improve and broaden their knowledge and skills and develop the personal qualities required in their profession. Practitioners are required to undertake a minimum requirement of CPPD activities each year in accordance with the guidelines issued separately by the Foundation. 4.1 You are free to choose who you accept as a client. Having accepted a client, you develop a relationship of trust with him/her. When a client consults you, his/her needs come first and you must never abuse that relationship. 4.2 Once you have accepted somebody as your client, you have a duty to provide him/her with an appropriate treatment. 4.3 The client under your care will rightly expect you, within reasonable limits, to make yourself available to them. You should ensure that your clients have clear information about your practice arrangements and how to communicate with them. Communication skills, underpinned by professional attitudes are essential to your competence as a practitioner. Where communication fails, good practice often fails. It must be stressed that one of the major faults with professionals of all kinds is a breakdown in communication, and you must be aware that the responsibility lies with you to properly express yourself and communicate effectively with the client. Therefore, you should take special care in this area. 4.4 Within the professional relationship that exists between practitioner and client, the client puts complete trust in the practitioner’s integrity and it is the duty of the practitioner not to abuse this trust in any way. 4.5 Proper moral conduct must always be paramount in relations with clients. The practitioner will not undertake any form of romantic relationship with a client in their care. The FIEH requires that the practitioner formally ends the professional relationship before beginning a romantic relationship. 4.6 The client can expect to find you sensitive, caring, understanding and non-judgemental. They should have your undivided and uninterrupted attention and should know that you are making sufficient time available in which to deal with their needs. If you consider that the client is making unreasonable demands and you are unsure how to deal with this professionally, you will need to seek the support of your Supervisor. You should however be courteous to your client at all times. 4.7 Practitioners must take care when explaining the treatment, they propose to administer and should recognise the client’s right to refuse treatment or ignore the advice. 4.8 Treatment of a client is legally permitted only with his or her express or implied consent; the law regards an assault as the touching of one person by another without the former’s consent. It is unacceptable to solicit a client by any means to accept treatment when he or she has not specifically requested it. 4.9 You must ensure that what you and your client discuss with each other is heard and understood accurately on both sides. This may well be difficult in certain cases, but ultimately it is up to you. In deciding what information to give, you should use non-technical language, encouraging the client to ask questions and play a full part in the decision that has to be taken. If you feel after this there is still doubt as to what the client understands, it is advisable to record this in the case notes. It is your prerogative to decide not to progress with a treatment if you are concerned about this possible lack of understanding. 4.10 For the purposes of ‘medical treatment’ the consent of a minor who is 16-18 years of age is effective in the absence of the consent of the parent or guardian by virtue of section 8 of the Family Law Act 1969. However, practitioners should note that it is by no means certain that this extends to complementary therapies, and therefore you should obtain the consent of the parent or guardian in writing of all clients under the age of 18 whenever this is possible. When the consent of the parent or guardian cannot be obtained in writing, practitioners are warned that they may, in legal terms, be committing an assault on the client, if they continue or commence treatment. 4.11 Practitioners should ensure that they themselves are medically, physically and psychologically fit to practice. 4.12 All practitioners must hold adequate, relevant and current professional insurance before treating clients. 5.1 All Practitioners shall ensure that their working conditions are suitable for the practice of their therapy. 5.3 Practitioners have an implicit duty, within the law, to keep all information concerning and views formed about clients, entirely confidential between themselves and their client. The fact the client has come for treatment should also be regarded as confidential, and should not be disclosed to a third party without the client’s consent (including disclosure to their GP, unless it is a matter of life or death, or the law requires the information to be divulged. When in doubt, consult your Supervisor). Treatment you gave and any observations. 5.5 Client notes must be kept for a minimum of seven years from the date of the last visit the client made. 5.6 Destruction of records must be done securely, usually by shredding. 6.1 Whilst you may not have a document in writing, by agreeing to see the client, you are entering into a legally binding contractual relationship with your client, the terms of which must be understood and accepted by both you and the client. It is your duty to ensure, during and after consultation, that the client understands what you can and cannot offer. Your side of the contract is to take reasonable care and use your professional knowledge and skill to advise or treat clients. 6.2 Upon moving or retiring the Practitioner must inform their clients of the intention to do so and make provisions for the continuance of their care. 7.1 It is important to implement clear and definitive boundaries with your clients, especially in the case of existing friendships. Boundaries ensure that a professional relationship is maintained and serve to prevent discord or complaints arising. It is important to ensure that at no time a past, present or anticipated personal relationship interferes with the impartial professional position you uphold as a practitioner. 7.2 Serious difficulties will occur if you abuse your professional position to pursue an emotional (in a personal sense) or sexual relationship with a client or their close relative. This is likely to create a conflict of interest within the professional relationship. Avoiding any form of behaviour which might be construed in this way will ensure that there are no misunderstandings between client and practitioner. 7.3 Practitioners are encouraged to continue deepening their understanding and awareness of professional boundaries. This will ensure the integrity of the client/practitioner relationship is retained and will avoid any issues arising that may compromise this. 7.4 It is important that you explain fully the method of treatment to be used and gain the client’s consent before engaging in hands-on contact with the client, as this form of contact may otherwise be perceived as either invasive or intimate. 8.1 Undue influence is a concept recognised by law where one in a potentially superior position by way of age, status or profession, could influence a more vulnerable person. You, as a practitioner, meet clients who are thereby vulnerable and open to persuasive influences from you. You cannot exploit that position to your advantage as this would lead to a breach of trust. Putting pressure on a client to purchase a product which will bring to you financial reward. 9.1 If something comes to light during a treatment which you believe is in the interests of the client’s health for the GP to know, you should advise your client to consult his/her GP. If in doubt seek advice from your Supervisor. 9.2 Practitioners must not countermand instructions or prescriptions given by a doctor. 9.3 Practitioners must not advise a particular course of medical treatment, such as to undergo an operation or to take specific drugs. It must be left to the client to make his own decision in the light of medical advice. 9.4 Practitioners must never give a medical diagnosis to a client in any circumstances. This is the responsibility of a registered medical practitioner. However, many practitioners have a ‘gift’ of diagnosis and of discovering dysfunctions in the physical, emotional, mental and spiritual aspects. In this case the practitioner may make mention of any believed disorder which he may discover and advise the client to see the doctor for a medical diagnosis and record this action. If you believe it to be in the client’s interest to disclose information to another health professional and the client has given his/her consent. If you believe that disclosure to someone other than a health professional is essential for the sake of the client’s health and the client has given his/her consent. If, following an ethical process of decision making and acting in good faith, you decide that disclosure is for the greater good and is more important than the privacy of the individual. So far as is reasonably practical, make clear to the client the extent of the information to be disclosed, the reason for the disclosure and the likely consequence of disclosure where to do so is appropriate. 10.2 The Data Protection Act 1998 gives clients the right of access to information held in their health care records by professionals such as you. This right extends also to people appointed on behalf of a client, and to the representatives of any deceased clients. The Act sets out the method of disclosure and your right to object, particularly if you feel this would not be in the client’s best interest. If necessary you should seek advice before disclosing records. 10.3 Any clinical records you keep on a computer are subject to the provision of the Data Protection Act 1998 under which you may be required to ‘notify’ the Information Commissioners office. To establish whether or not you are required to do so visit www.informationcommissioner.gov.uk. 10.4 Practitioners must not speak disrespectfully about other practitioners in public, to clients or to other practitioners. 11.1 Practitioners are permitted to advertise providing that the advertisements do not claim to cure any condition or illness. 11.2 Advertisements should reflect the high standard the public expect of professionals in the health care industry. 11.3 Any promotional material independently produced that mentions the FIEH must be submitted for approval before distribution. 12.1 Complaints against Practitioners may be made by the public and fellow practitioners. The use of sanctions may follow the FIEH’s investigations if it is felt that the complaint either requires further investigation to clarify matters, or if it is felt that the complaint is indicative of a serious breach of the Code of Practice & Ethics. 12.2 You may be an excellent practitioner but inevitably from time to time, things may go wrong. You must act promptly and appropriately if you become aware of any error on your part or if a client complains about any aspect of your professional practice. 12.3 If someone complains about your apparent failure in the care they are entitled to a proper investigation and an explanation as to what has happened. You should take the initiative to put things right. If a question of compensation arises, you should ensure that any apology is only given with the consent of your insurer. Any apology should assure the client that you have taken full steps to prevent a recurrence. If in doubt, seek advice in the first instance from your Supervisor. 13.1 Even if you have not charged a fee or do not believe that you entered into a contractual relationship, if you offer to treat a client, you owe what is called in law a duty of care to that client. Accordingly, a client suffering injury or loss because you have not used reasonable skill and care in accordance with your profession and the norms for all practitioners, may result in a case against you for damages for negligence in the Civil Courts. In such a case, the Court will not only judge whether the standard of care was reasonable, but whether the damage suffered was a direct result of a breach of your duty of care. You should therefore always maintain high professional standards to minimise any risk. Stay within the limits of your personal and professional competence. Signing certificates which require the signature of a registered medical practitioner. 15.1 Appropriate action must be taken when a client either presents with a notifiable disease, or if the Practitioner suspects that a client has one of the following diseases, or food poisoning. In this instance, the practitioner must encourage the client see their GP as soon as possible. The Practitioner must also contact the Environmental Health Officer in the area that the client lives and they will be able to provide guidance as to what action, if any, the Practitioner may need to take next. In all instances, the Practitioner must record this information in the client’s notes.